Allegory of Vanity: Adidas Superstar + Campus 2.0 Revisited: I used to wear these! 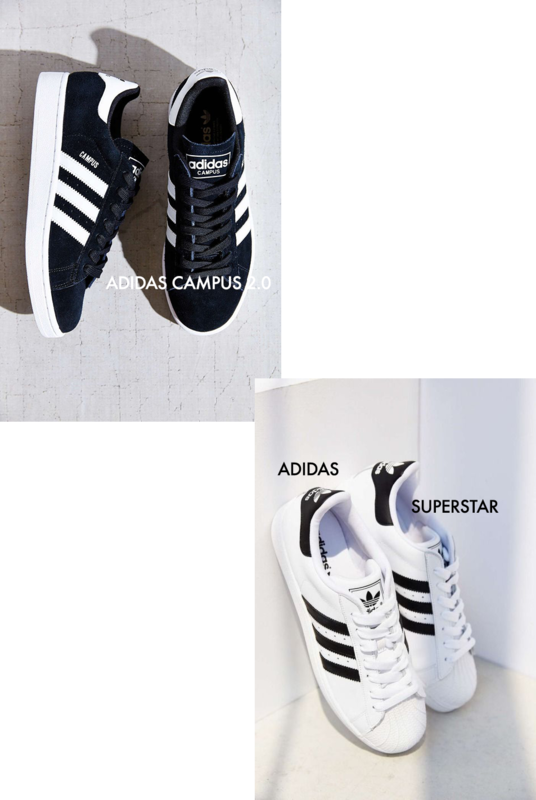 Adidas Superstar + Campus 2.0 Revisited: I used to wear these! I love these sneakers! I used to wear Superstars for the longest (precisely in this color, too... until I switched over to black Converse high-tops and have worn those almost exclusively since, the exception being my much prized iridescent Superga). So it would seem it's time to switch back again. However this time around, I've decided to order the Campus 2.0 and give those a try. I think they look super cute, especially when styled in an outfit similar to this one here, modeled by a 1993 Kate Moss. Can you tell I'm excited they're trendy again?